Wood-based (multi-material) lightweight construction solutions enable cost savings and a unique environmental balance through the utilization of a natural material. The challenges for the usage of wood-based materials lie in, amongst other things, complex 3D geometries as well as the mechanical properties of the components, their accuracy of fit and their hygroscopic and thermal properties. 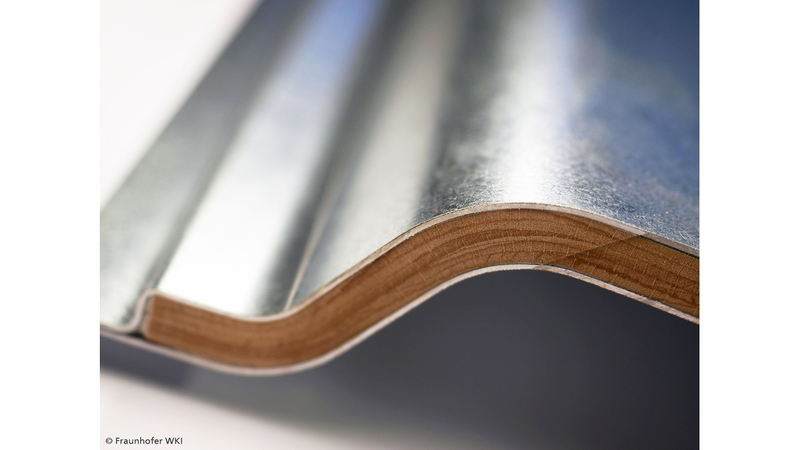 The researchers at the Fraunhofer WKI are pursuing the goal of introducing the renewable raw material wood into structural application within the mobility sector. They have determined the mechanical parameters for structure-lending components in vehicle construction by means of various parts, as well as their production costs and weight-savings compared to conventional materials. The stand will feature a seat which is attached to a structural component made from a metal-wood layered composite. This structural component made from wood-based multi-material systems fulfills the technical-structural and crash-relevant requirements for application in vehicles. Furthermore, a seat shell consisting of a multi-layer veneer layered composite will be presented. For this, the standard materials normally used here have been replaced by renewable raw materials. The advantage of the molded parts lies, amongst other things, in the mass reduction. Simultaneously, the molded parts exhibit a high rigidity and lead to an overall reduction of the production costs. The exhibits on display are of interest to, amongst others, the vehicle industry (e.g. automobiles, rail vehicles, ships). The department Technology for Wood and Natural Fiber-Based Materials addresses the entire process chain of molded-part production. Both classical and newly established technologies, such as vacuum and high-frequency presses, are thereby applied. In the technical center, the depiction of the complete manufacturing process is possible, from peeling the veneer through to pressing the three-dimensional hybrid component.